Event Flag for Japanese Sake brewer. The building shown above is the museum of Sake brewing. 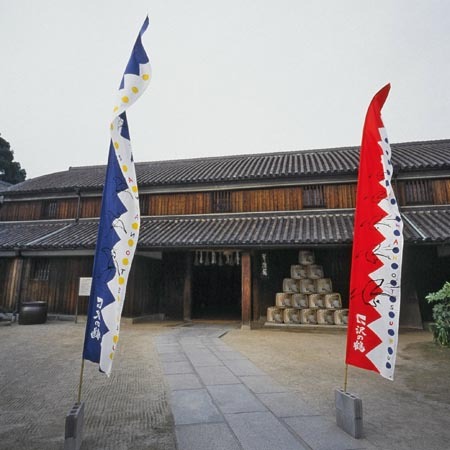 The "Nobori" (a kind of the vertical flag) is designed for event days like music concerts. The museum was totally destroyed by the Great Hanshin-Awaji Earthquake the day after this photo was made. This picture is a valuable photograph of the museum's last day.